At Les Quennevais school, we have the fastest wifi network that you could possibly want for education. This brings a unique opportunity for students to use their own devices (tablets and laptops) when learning at school. You may be thinking why this is important? Well, hopefully this blog post will set out the reasons why it could be a real game changer in your child's education. It is becoming clear that more and more workers are working, learning and collaborating digitally in today's economy. Students need an additional range of skills in order to work and learn, collaborate and communicate effectively in their future employment. They will need to be digitally literate; using cloud based working strategies and become accustomed to a whole range of different working modes to be a highly effective and desirable employee of the future economy. 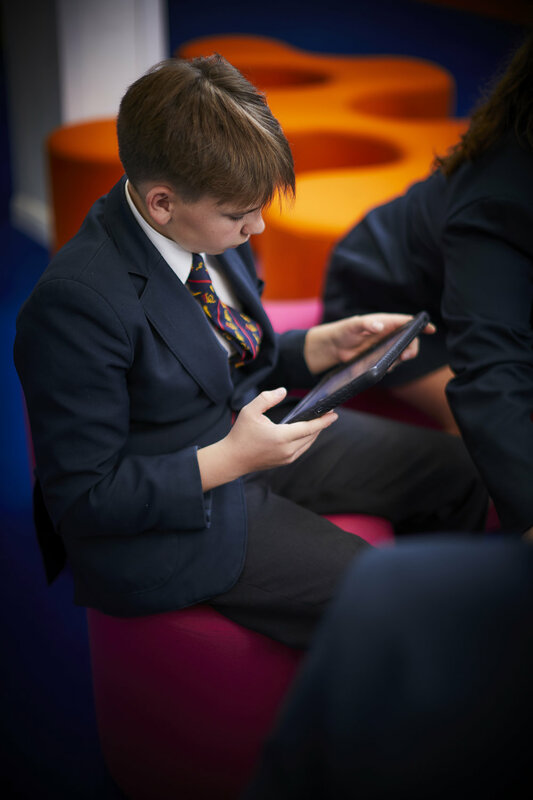 If students are bringing their own device to school, it will mean that students will have opportunities to work and learn collaboratively and become fully accustomed to working 'on-line', developing the opportunities needed to practice the digital skills needed for future learning and employment. With BYOD technology in the classroom, students can easily collaborate on projects and even with students from other schools. Collaboration is important to engagement in today's classrooms, but also is an essential component of effective learning. Students spend countless hours outside the classroom on their mobile devices. Tapping into what many of our students do naturally can be of real benefit to learning. If we let them use these devices as engaging learning tools in the classroom, they can easily bring their homework, access revision resources, work on projects, access documents and books, use state of the art presentation tools etc. and everything they need to continue learning outside the classroom can be accessed with a swipe of the finger or a push of a button. BYOD provides the opportunity for personalised education. Teachers can use media and programs to meet different learning needs, which allows students to learn and excel at their own pace. BYOD allows students to use their own technology in the classroom to make learning more engaging and interactive than ever before. Students can interact with students and experts in other countries, create a digital scavenger hunt, take virtual field trips, the possibilities are endless and can take learning to new places and increase expectations of the importance and value of learning. With the technology they are using for BYOD, students can have more authority over their own learning. They can pose questions and do research instead of just listening to the teacher to always find the answer, building curiosity and independence. Learning can become more student driven. With assignments and background reading readily available online, students can access the information wherever they find themselves, whether it be on the bus, at home, or wherever their free time might exist. Digital technology cannot replace the fundamental nature of secondary education, but there is definitely real value in students bringing in their own device to help them become more independent, more knowledgeable and more technologically minded making them more adept at making a real impact on the world when they leave Les Quennevais School.